SUGAR LAND, TX -- With a job at Dell Inc. lined up to begin her post-college career, Trinity University senior Madeline Yin of Sugar Land is already ahead of many soon-to-be college graduates, but she recently took another successful step in helping to launch her career in engineering. Participating in the April 17-19 Institute of Electronics and Electrical Engineering (IEEE) Region 5 conference in New Orleans, Yin, 22, along with teammate and fellow Trinity University engineering student, Cameron McKay, placed second in the ethics competition. 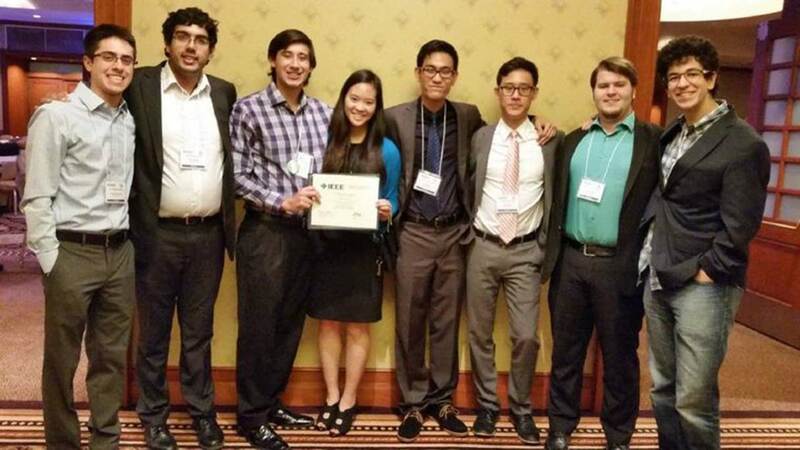 "We had to use the IEEE Code of Ethics in order to analyze a case study presented to us and present our findings to the judges," Yin, a graduate of Kempner High School in the Fort Bend ISD, said. "The judges asked us a lot of questions on how things could have been handled differently in the case study." The ethics competition pitted 10 teams of two representing different universities against each other and were given an outline of the rules, a computer and two hours to prepare a Power Point presentation on how the people in the case study either acted ethically of unethically. The case that Yin and McKay were given involved an engineering contractor who began a project without a written contract and was subsequently removed from the project by investors of the hiring company. Yin and McKay reasoned that the contractor could have behaved differently by securing a written agreement before beginning the work and the company's investors should have realized that the engineer had already begun design work so they couldn't sub-contract the work to another contractor.